The article excerpted below was originally published in Open Democracy on 13 November 2018. Our economic globalisation has raised hundreds of millions out of abject poverty. It has also left far too many with far too little. The global labour market teems with workers seeking employment to lift their lives beyond subsistence, yet the contexts in which they search for work make them highly vulnerable to exploitation and abuse. The predatory and pernicious side of economic globalisation thrives on an endless supply of fragmented, marginalised and invisible labour. No sector is immune to this reality because it is a hallmark of our market system. It’s a design feature of the global economy, but it need not be. The statement by the Ford Foundation, Open Society Foundation and Sage Fund properly underscores the challenges presented by our current economic paradigm and draws attention to the various levers that drive and reinforce inequalities. Helpfully, the statement also articulates “opportunity areas” that are primed to address the design feature mentioned above. The Freedom Fund supports work across these opportunity areas. Working towards our mission to end modern slavery, we have a front-row seat to the emergence of powerful solutions for ensuring fairness, equity, and justice for all workers. In Thailand, we work in the seafood sector where labour abuses, including forced and bonded labour, are rife. Migrant workers in the seafood sector scour the seas on fishing vessels for weeks at a time, catching the seafood served in restaurants and sold by retailers across the world. These workers have no bargaining power, no formal recognition and very little social protection. In Ethiopia, we focus on a population of women and girls who, seeking economic opportunity, migrate to the Middle East for domestic work. In transit and on arrival, these women are at high risk of being abused and falling into situations of slavery. Most emigration takes place within an unsafe, irregular system that leaves emigrants vulnerable to physical abuse and sexual violence. In southern India, we work with frontline communities to address labour exploitation in parts of the garment industry. 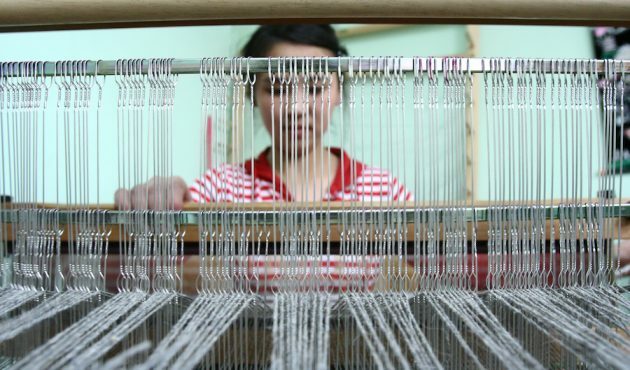 Across the region, tens of thousands of girls and young women have been recruited into fraudulent employment schemes in some of the industry’s cotton spinning mills. These workers are buried so deep in apparel supply chains that global retailers trying to address abuses across their operations claim they have little influence against these instances of exploitation. Across all these contexts, we see how the opportunity areas in the joint funders statement are present. Supporting work along these lines can drive real and meaningful reform. Continue reading the entire article in Open Democracy.